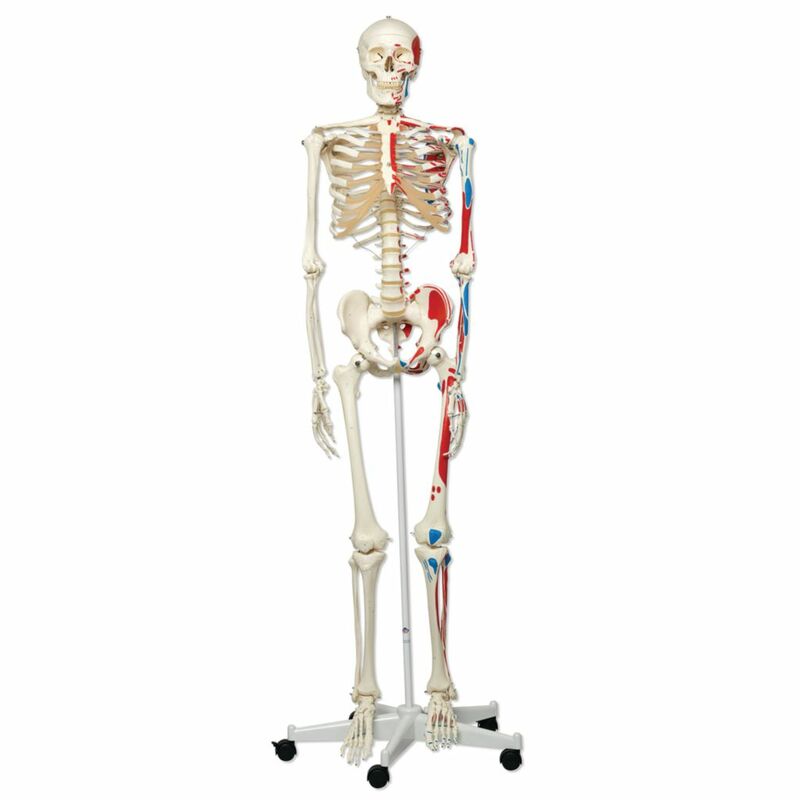 Max has all the advantages of a 3B Scientific® skeleton and also shows the structural interaction between the bones and muscles. 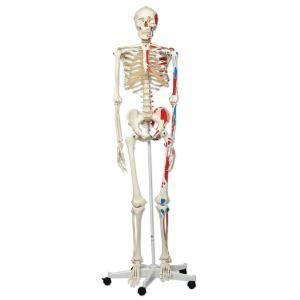 On the left side of the skeleton over 600 important medical and anatomical structures are shown, such as the muscle origins (red) and insertions (blue) as well as hand-numbered bones, fissures and foramina on the right side. Now available on a stable metal stand with 5 casters.